This month while on vacation in Asheville NC, we noticed on TripAdvisor that the number one rated activity was Asheville Food Tours. 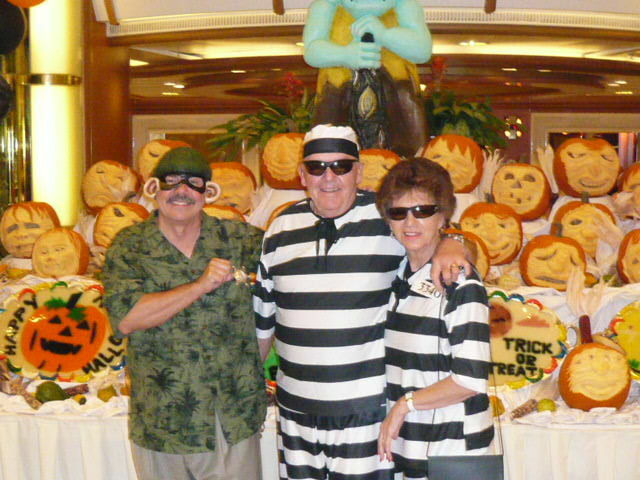 We made a call and went on the tour the next day and had a blast! 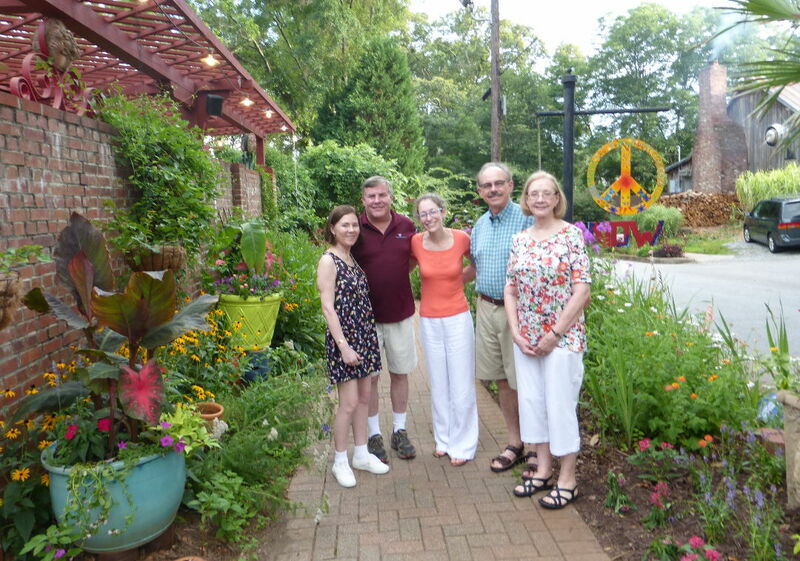 Back home we wondered if there were any food tours nearby and found one on Canton Street in Roswell GA. Our neighbors joined us and we did the Roswell Food Tour yesterday and loved it. Mariel was our guide and did an excellent job with everything. Everyone in our party was impressed with the Roswell Food Tour. I had never even heard of Food Tours before this month but now am a big fan. 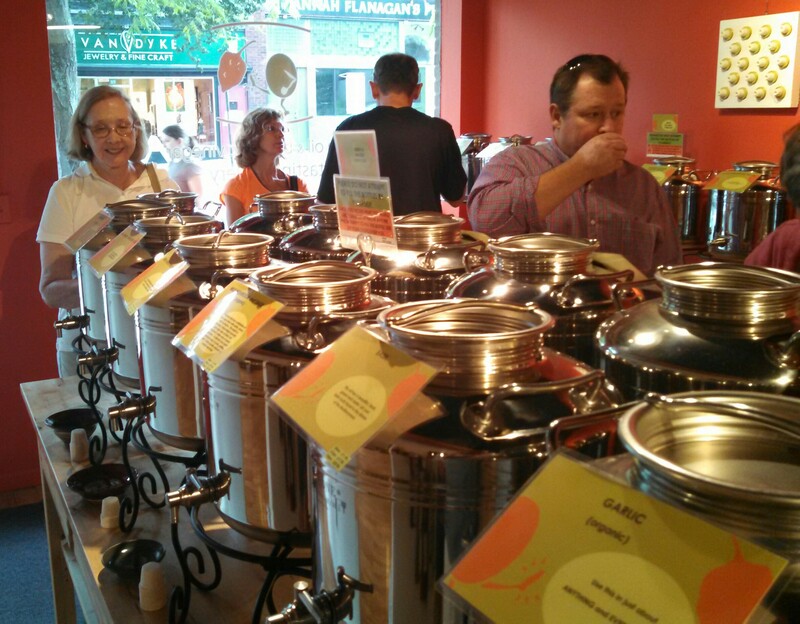 Food Tours seem to be spreading across the country and are worth checking out. A walking food tour with a local guide usually visits about 4 or 5 restaurants sampling courses at each and maybe visiting an olive oil store and/or chocolate shop as well. Food tours normally take place in the less busy part of the day so you can get special attention. 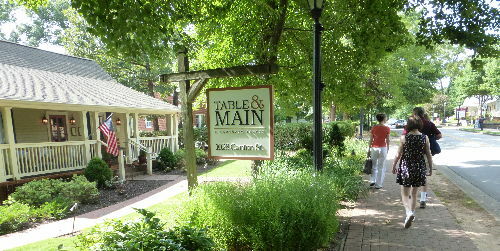 Our Asheville Food Tour was between 2 and 5pm and our Roswell Food Tour was between 4 and 7pm. There were only 4 people on our Roswell Food Tour but 10 people on our Asheville Food Tour and I have heard of groups of 13 people. We liked the group of 10 people because we really bonded with new people but on the other hand the group of 4 with our private party was nice since we had the guide all to ourselves. 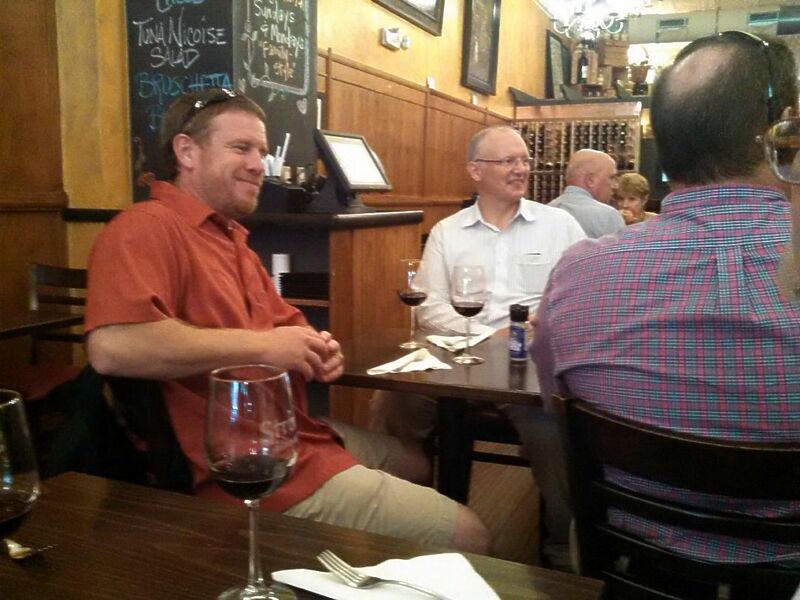 Foods Tours usually visit locally owned restaurants and the owner or manager comes out to speak with the group about the restaurants and some of their dishes. There is some walking involved so wear comfortable shoes and an umbrella. Walking to each restaurants is nice and the guide will point out interesting things about the buildings or landmarks as you walk by. The guide keeps the group on schedule moving between the restaurants and there is no waiting to get in as they are expecting your group and will have the food and drink ready to be served as soon as you sit down. That is nice! The food is wonderful. You may get appetizers at one restaurant, a main dish at the next, more sides dishes at the next and a dessert along the way. 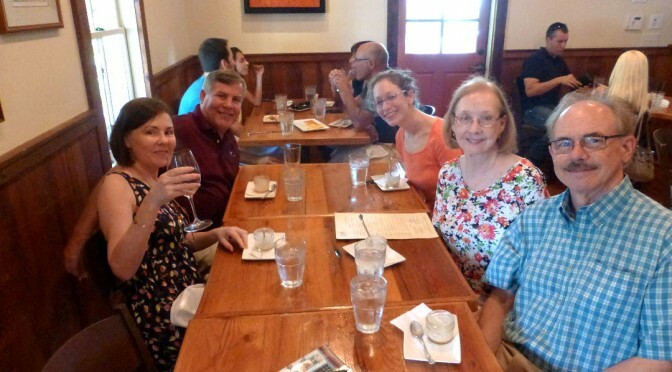 The Asheville Food Tour gave us a coupon for 10% off any of the restaurants for visits within 5 days. I already have the Athens Food Tour on my list. To find Food Tours just search the city name plus Food Tours. Here are some reasons I think you will like a Food Tour. 1. Exciting and fun new experience. Feels like a vacation. 2. Great way to try new restaurants, especially in a new city. 3. Meet new people. People bond while having a great time. 4. Special attention – Seating without a wait at a reserved table. Food ready to serve. Menu selections made. 5. Great way to entertain visitors or friends. 6. Great thing to do when you are on vacation. 7. Learn about and sample interesting foods you never tried before. 8. 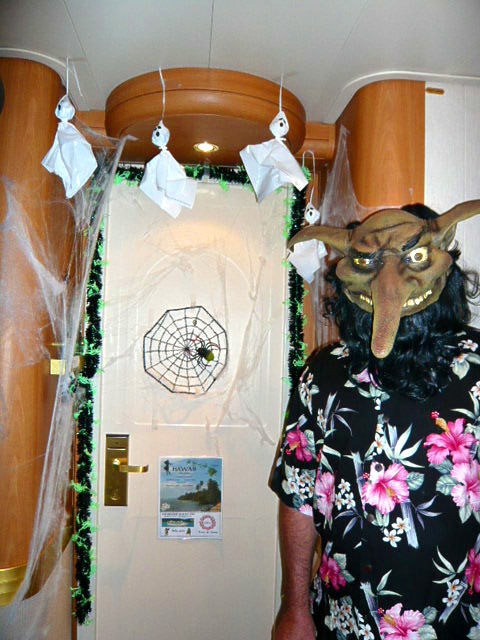 Friendly and entertaining guide keeps a flawless schedule that keeps things interesting and fun. 9. Restaurant owner or manager will make you feel like a friend while giving you the background and specialties of the restaurant. 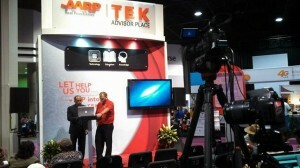 We just saw The Happy Together Tour at the #Lifeat50 AARP Event in Atlanta. 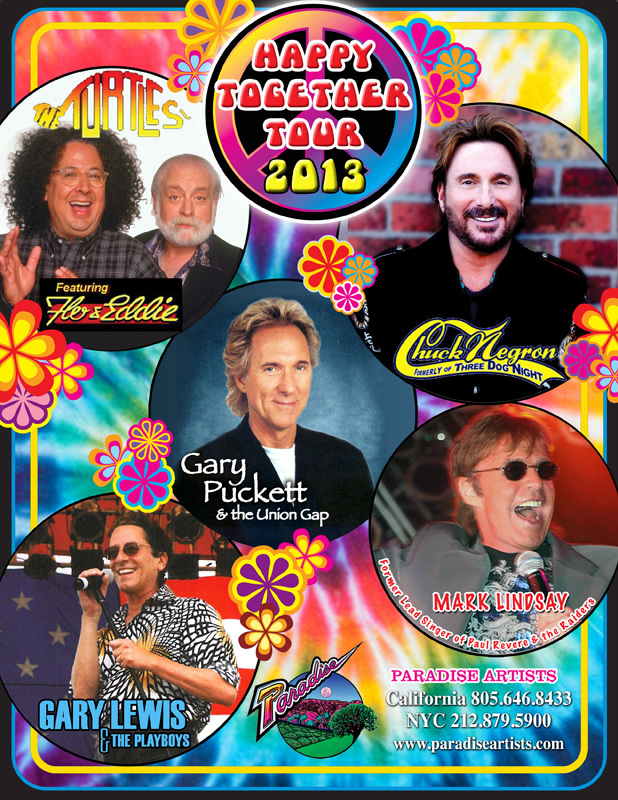 The Happy Together Tour includes Flo and Eddie from The Turtles, Chuck Negron formerly of Three Dog Night, Gary Puckett and The Union Gap, Gary U.S. Bonds and Gary Lewis and The Playboys. Each singer of the 60’s performed some of his greatest hits and the next singer quickly took over without a break. So the same band played for all signers, but they were good and that was not a problem. Next up was Gary U.S. Bonds whom my wife thought was the best. He really had it going on. He did one of this twist songs and his come back song This Little Girl among others. Flo and Eddie of The Turtle were a riot. They jumped around the stage with all kinds of craziness. 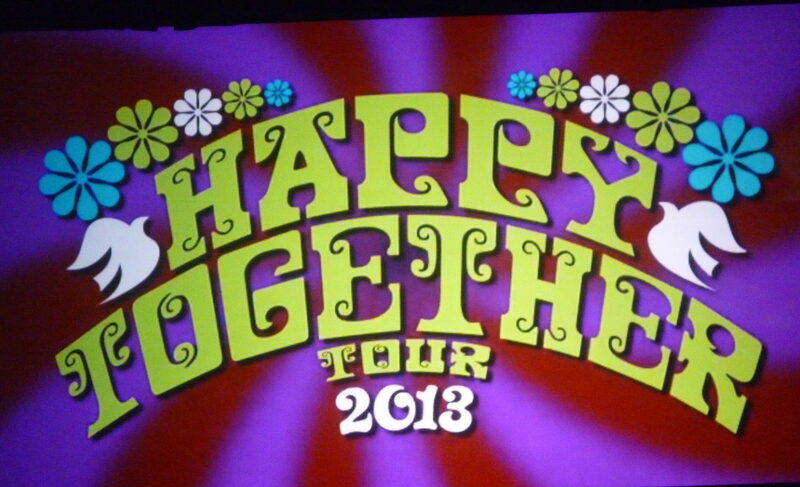 They sang several of their hits, including Happy Together which the concert was named after. It looks like Flo and Eddie are the concert promoters. The poster on the left has Mark Lindsay but he was not part of this performance, replaced by Gary U.S. Bonds. Gary Puckett & the Union Cap was actually the one I most wanted to see. Gary performed “Young Girl” and “Lady Willpower” among others. Gary is turning 71 this month but he seemed to be in really good shape. I remember my parents even liking his songs in the late 60’s. Next up was Chuck Negron of Three Dog Night, also 71. Man, “Joy to the World”, “One” and “Mama Told Me Not to Come” sounded as good as ever. He still has a booming voice. For the curtain call each performer was brought out to sign one of his biggest hit songs with full audience participation. There is no better crowd for this tour to play than the Lifeat50+ crowd and we loved it! So that was Friday’s entertainment but there is entertainment all three nights at Lifeat50. Thursday was several groups of Gospel Singers which was very popular and Saturday night Gloria Estefan wowed the Lifeat50 crowd at the Georgia World Congress Center. 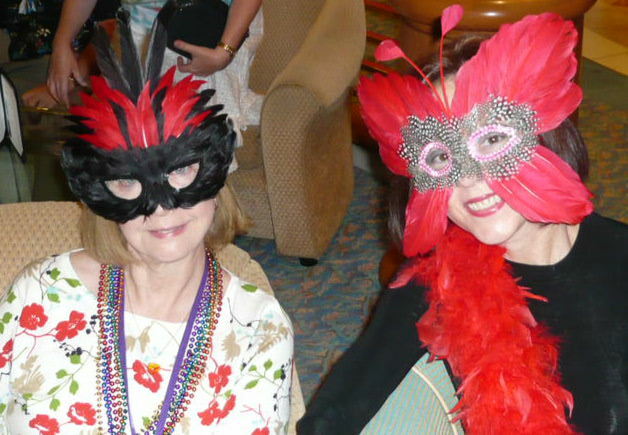 Life@50+ is much more than just the entertainment. Frankly I think it would be impossible to see it all, so here are some things I did in addition to attending that wonderful Happy Together Tour. 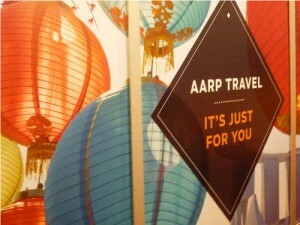 The exhibition floor is huge showcasing an seemingly endless selection of services to us baby boomers. In the AARPDiscounts.com section I found AARP membership discounts available on services I already use like UPS Store and I-800Flowers.com. Most impressive to me since we Boomer love to travel, was the travel benefits. They cover all aspects of travel, a must to check out before your next trip or vacation. I did a test drive on their new next generation travel site coming out soon (maybe Jan) that’s even better. Being an old school techie, the travel people on the floor told me I should check out the TEK Pavilion and I attended the seminar about cutting edge technologies to help us stay healthy, where entrepreneurs from 4 companies showcased their new inventions. (see my YouTube AARO playlist of these presentations). There were presentations about Buzzy – an invention to remedy unnecessary pain, Lift Labs who has an invention to help people with hand tremors, Neurotrack has an early diagnosis test for Alzheimer disease and finally Breezie has a Internet product to help people to easily get on line. I met with Jeh Kazimi of Breezie immediately after his presentation and he gave me a test drive of his creative, easy to use product. Frankly, I loved all these products and thank it is wonderful to have such a preview of what is coming. In the morning general session I attended, I heard Bryan Popin play (amazing) then heard Whoopi Goldberg interview Tyler Perry, in the way only Whoppi can do it. Well I could go on for awhile, but I know I did so much but there was so much more to take in. The Life@50+ events are now twice a year and the next ones will be May 8-10, 2014 in Boston and Sept 4-6, 2014 in San Diego. If you would like to visit those cities, I think Life@50+ would be a great way to do it. Well I was a big fan of music back in the day and I bet if you are an older Boomer, then you were too. We loved our music. The Moody Blues was just one of those bands of the era and I remembered liking their music but couldn’t remember exactly all their big songs. So pre concert Saturday afternoon I really to into YouTube and played their music for a few hours. I played Tuesday Afternoon, Your Wildest Dreams, I’m Just a Singer and Nights in White Satin. I was pleased later at the concert they played all these favorites. Last night my wife and I with our good friends were down at The Fabulous Fox theater here in Atlanta, GA. We went to see The Moody Blues. We saw the local Public TV station promoting this show with a performance of The Moody Blues from the Royal Albert Hall in London. They were good and we made a note to pick up tickets if they came to town. Well of course they were coming to town as we heard shortly on the pledge break. Ha! But rather than several hundred dollars per ticket, we elected Ticketmaster to buy directly. 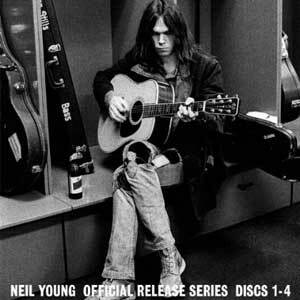 But this YouTube recording from 1970 of Tuesday Afternoon really got me to remembering how it was back then. Wow, look at the smoke in this club; how could they sign in that stuff? Look at the hair and clothing from that area. And then to think this same singer would be singing the same song at the concert 42 years later. The band has tour the world many times over and last longer almost any others; what an accomplishment. At the concert the drummer Graeme Edge, who is an original member of the group, announced he is 70 years old! He came out and danced the jig on stage for a while and really got the crowd going. He said when he started with the band 45 years ago when he was 25 yrs old, his hair was brown, his teeth was white and he made a V with his fingers and said that stood for the peace sign. He said now his hair was white, his teeth was brown and the V is for Viagra. Justin Haywood is the main singer who has been with the group since 1966 and who is 65 years old. At the concert he sounds just like he did back then; just like he did on the Tuesday Afternoon YouTube video. 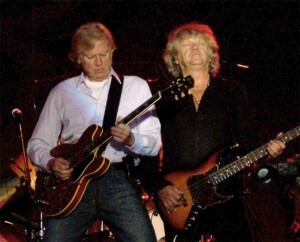 The other lead singer is John Lodge also with the group since 1966. He is 67 years old. Can you believe it? They are still quite good and if you get a change, go see them perform. The Fox was sold out and everyone was my age or older. But when the lights when down and our music came out there was much dancing and grooving going on. A good time was had by all! I came from a small town where dancing and what they called wild music was just not allowed. 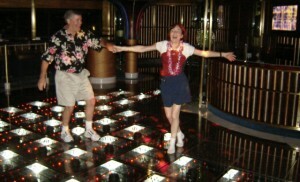 But music and dancing became of important part of Boomers lives. I came from a small town where dancing and what they called wild music was just not allowed. 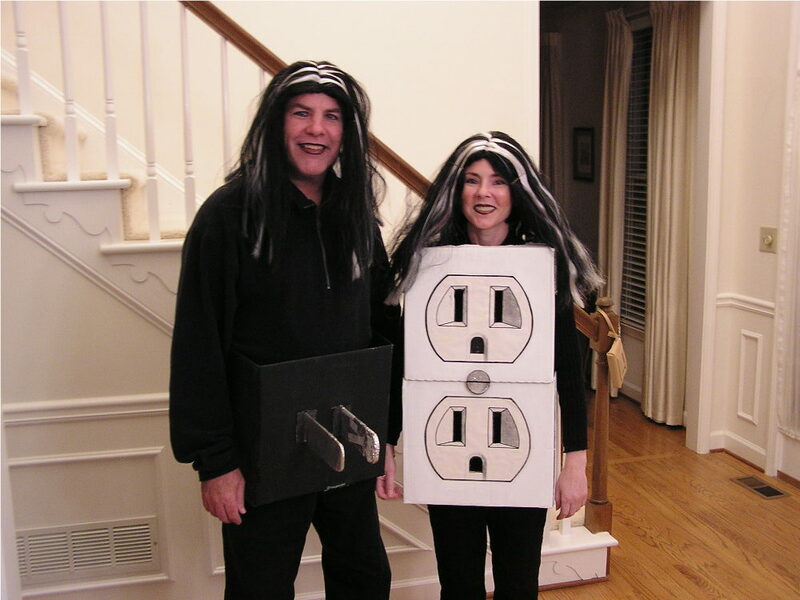 I mentioned before though that this Boomer is a free spirit. Remember those little transistor radios back in the day. Well you could see me at any time with one in my hip pocket. Of course the hip had to be turned just the right way to get the music to come in clear from the radio station. Oh and dancing in the small town was just a big no but I had the beat. On a hot summer day you could catch me listening to some great hits. I would sing “I’m Sorry” by Brenda Lee at the top on my lungs and couldn’t sing a lick as the old country saying goes. Then there was Wild Thing, When A Man Loves a Women, and Papa’s Gotta Brand New Bag. Yes, and don’t get me started on Heat Wave, Sugar, Sugar and Save The Last Dance for Me. Little did I know that my all time favorite “Harper Vally P.T.A by Jeanne C. Riley would become my early wild boomer life. Those hot pants and Go Go boots were my thing. I worked hard and played hard and oh did I love to dance. I would dance with my broom while cleaning house or dance the night away when out on the town or by then it was the city. Then along came the song Ride the White Pony and my disco dancing could clear a dance floor any time. If possible I would stay on a dance floor and close the place down. They talk about running for exercise in today’s world but I am here to tell you back in the day, I danced for exercise! Years were passing so I had to change my style. I met up with a band leader and turned COUNTRY. Now can you believe those apples. I have sat with Chuck Berry at one of the places he owned and listened to him get a crowd roaring. I was on a roll now and switched again. This time it was Two stepping, country waltz, the 10 step and Cotton eyed Joe just to mention a few country dances. Don’t let me get started on dancing to that all time great hit, Ride Sally Ride. OH my, Oh my those were the days of music and dancing. Then that thing called middle age started to creep up on me and I found my self sitting on a bar stool listening to “The Queen of the Silver Dollar by Dayle Holly.” That did it! I had to grow up. Now that does not mean that I stopped listening to music nor did I stop dancing. It just means I changed my way of life. Maybe you could say maturity hit me or maybe I just needed to try something else like meditation music, easy listening,Christian rock, blues and jazz. I even listened to a little Opera but that night will not be repeated. It is great music but just not my THANG! So here I sit today remembering back to Chicago, Three Dog Night, The Beatles and the list goes on and on. Those tunes will never leave my head and I can still pat my foot any old time. Yes sirree, those Boomer days were some great times. Let’s keep on rocking and rolling because the Band Stand Group is not over yet!